Bata has unveiled a brand new line of shoes, “Bata Red Label – the ultimate red to have”, designed and developed together with the Aldo Group. With this launch, the brand aims to combine the latest fashions with comfort at affordable prices. Bata had chosen to partner with Aldo as both companies believe there was an “opening in the market” between their traditional segments. This new launch is targeted largely at the urban crowd aged 20 to 35 through social media platforms such as Facebook, social media influencer campaigns, in-store visual merchandising and in-mall advertising. It is said that the new line was inspired by styles seen on the streets of New York and London, and aims to deliver new trends such as floral patterns and bold bright colours to the Bata collection. It targets consumers who want to look and feel young, and are “never satisfied with the content of their closet”. In a press statement, Thomas Archer Bata, CMO of Bata said the colour red was chosen to represent the collection based on the values of the Bata brand and its heritage. 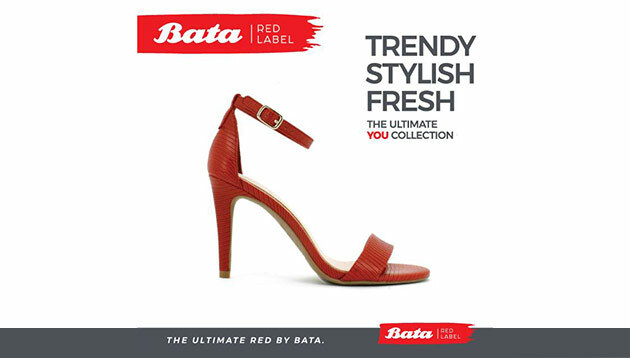 The Red Label collection looks to support Bata in connecting a new generation of customers with a wide array of trends, styles and designs. “Whilst Bata might be trusted and loved, it has not always been on the cutting edge of trends. With Red Label, we want to address a young generation that grew up with us, by giving them want they want – today,” Bata said. “Our teams worked closely on design and trend, and together we have delivered a very relevant Red Label collection. We are looking forward to the global launch in March 2018,” Jonathan Frankel, SVP of Aldo product services added. Unilever Clear shampoo’s Ice Cool Menthol range has launched a new ad with the help of Lowe Singapore. ..
My Finance Coach is a financial literacy programme founded by partner companies Allianz, Grey and McKinsey, aimed at improving mon..